Hardy pioneers who lived in the west were bound by unwritten rules that centered on hospitality, fair play, loyalty, and respect for the land. 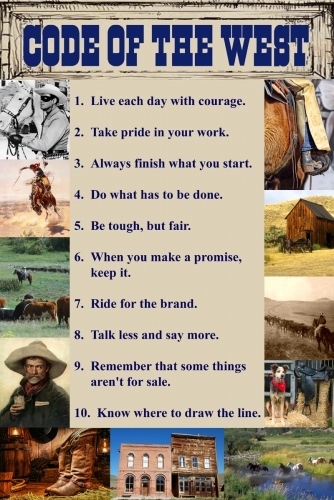 Our Code of the West poster boils down a few, surrounded by great images representing the American west. Printed on semi-glossy, 48 lb paper and measures 11" x 17".